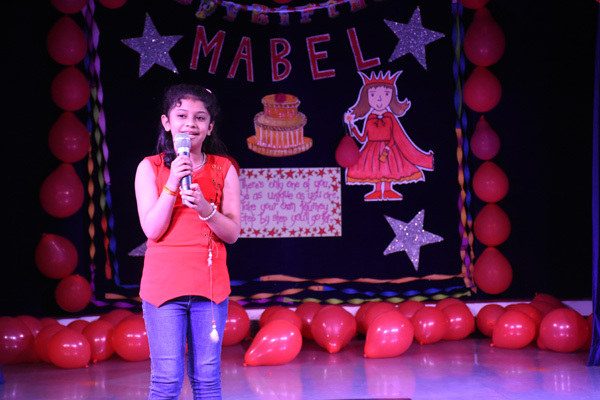 28th July, 2017 saw the red carpet being rolled out for the children of Gr.2, to celebrate Mabel’s Birthday. 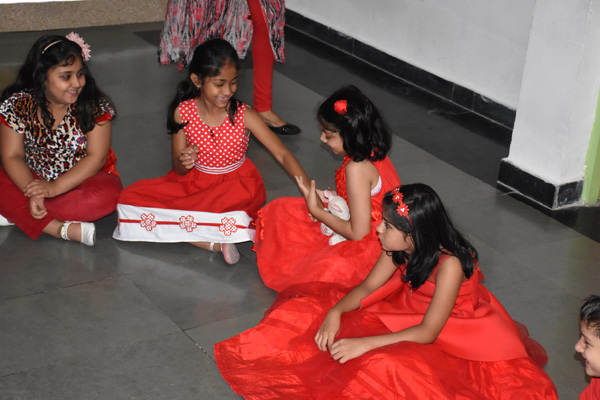 True to the invite : ‘Your wish shall you wear, just because being you gives that extra flair’ , little children dressed in long red gowns to frocks , frilled shirts to red caps looked all set for a celebration. Low self esteem and low confidence stopped the protagonist of the story ‘Just Mabel’ from being her true self. 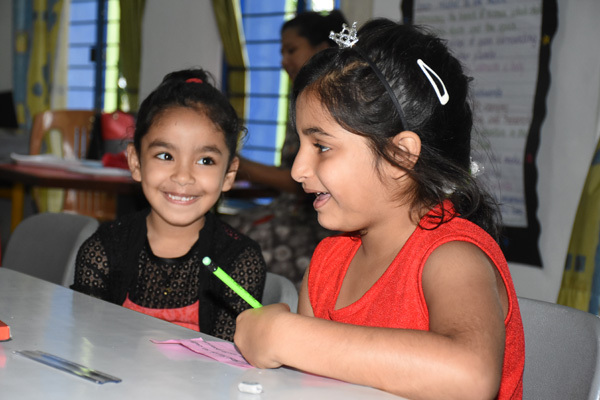 How she overcame each challenge and finally learnt to appreciate herself is an experience many children can identify with. Red being the symbol of power, love and confidence, seemed quite apt for the occasion. Feasting, music and fun filled activities ruled the day. 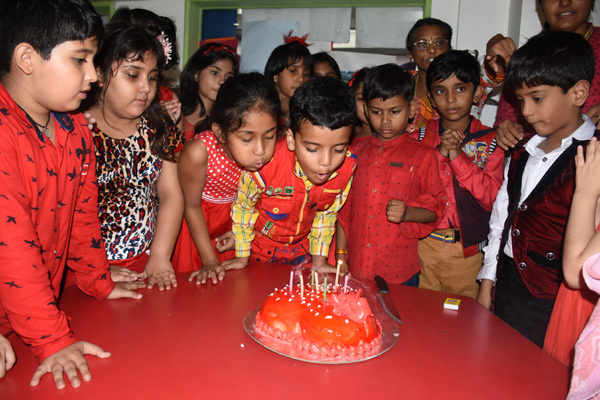 From ‘Passing the Parcel’ to ‘Colour Recognition’ games , from making birthday post cards to sharing the red, finger-lickin’, yummy birthday cake, the children enjoyed it all! What lay beneath all this fun and frolic was a precious lesson about being unique and confident of yourself. Celebrating ‘just being me’ at ‘just’ Grade 2 is just the way literature teaches us about life!